The late fifteenth and sixteenth centuries saw women wielding political power, either on their own account, as queens regnant, as regents for male family members, or as influential consorts on an unprecedented scale in Europe. They were women of different character, temperament, religious belief and nationality, but Gristwood has looked at them collectively, finding the traits which united them, as well as the political realities that divided them. The politics of the time were complex – shifting alliances, existential threats to Europe from the Ottoman Turks, the onset of the Protestant Reformation – Gristwood handles these complex themes superbly – weaving them in and out, as she weaves the lives of the women in and out, creating a tapestry of their lives. Key to understanding the structure of the book, and Gristwood’s central thesis that lessons in how to wield power and influence were shared amongst these women, is awareness of the familial relationships between them. These are usefully set out in three pages of family trees, necessarily simplified, and a very good who’s-who at the front of the book, along with a time-line – absolutely vital to keeping the facts organised. The book is divided into seven parts, opening with the coronation of perhaps the most powerful woman Europe has ever known - Isabella of Castile, who, in the face of fierce opposition, claimed the throne of Castile at the age of twenty-three. She fought a civil war to keep her crown, allied with the neighbouring kingdom of Aragon through marriage to its king, defeated the last Moorish kingdom in the Iberian peninsula and financed the discovery, by Europeans, of the Americas. The marriage of her daughter, Juana I of Castile, to Philip, Duke of Burgundy, produced a crop of monarchs and consorts who sat on most of the thrones of Europe for the next hundred years. The other early protagonist is the much-less-well-known Anne of Beaujeu. Daughter of Louis XI, and more like her father in political skill and strategic ambition than her brother, Charles VIII, Anne was effectively, although not formally, regent of France. Anne of Beaujeu is central to Gristwood’s structure – at her court were two girls who would later take centre stage – Marguerite of Austria and Louise of Savoy. Marguerite was betrothed to Charles VIII, and Louise had lost her mother young, and was awaiting her marriage to the Duke of Angoulême. Marguerite of Austria went on to the court of Isabella of Castile, where she remained nearly three years – making the acquaintance of Isabella’s daughters, Isabella, later Queen of Portugal, Maria, another queen of Portugal, and Katharine, later Queen of England. What Marguerite learnt there stood her in good stead, as Governor of the Low Countries on behalf of her nephew, Charles V, who dominated Europe as King of Spain, Duke of Burgundy and Holy Roman Emperor. At Marguerite’s court, were her nieces, Eleonora and Mary, the latter of whom, as queen-dowager of Hungary, would later take over as Governor of the Low Countries, and the former of whom would marry Louise of Savoy’s son, François I of France, in fulfilment of the treaty, known as the Ladies’ Peace, that Marguerite and Louise hammered out in 1529, when their respective menfolk could neither win an all out war, nor humble themselves enough to make a peace. A member of Marguerite’s court was a young English woman, Anne Boleyn, and Gristwood sees Anne’s sojourn there as formative of the character of the woman who would influence Henry VIII of England so strongly. This would put Anne head to head with Katharine of Aragon, whose formidable determination to fight for her rights was learnt at Isabella of Castile’s knee. Gristwood carries the story on, through the next generation – when Marie of Guise withstood the complexities of Scottish power to keep her daughter, the infant queen of Scots, Mary, and the kingdom, safe from the machinations of Henry VIII, while Mary of Hungary took over from Marguerite of Austria. More women appear – Catherine de Medici, the neglected wife of Henri II of France, who became the power behind the French throne during the reign of her sons, and another queen-regnant, Jeanne III of Navarre, whose religious beliefs estranged her from her husband, but put her at the forefront of French politics. 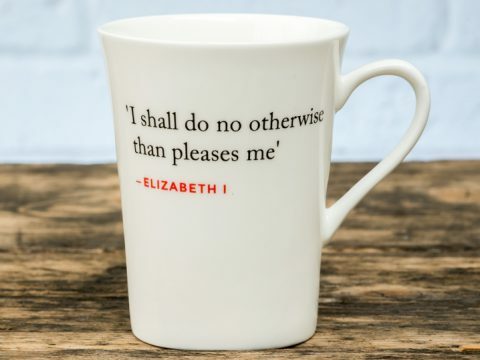 In England, too, the rule of women was now being felt, first under Mary I, daughter of Katharine of Aragon, and then under her half-sister, Elizabeth I, daughter of Anne Boleyn. The final portion of the book describes the rivalry in the island of Britain, between its two queens, Mary of Scotland, and Elizabeth of England, and the European politics, and religious divide that created it. 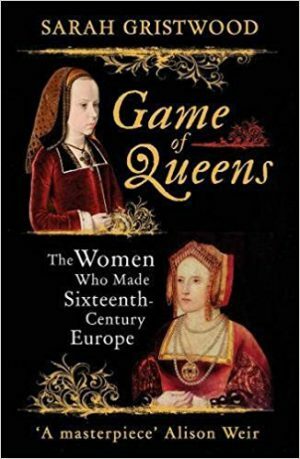 For, of course, this is a book about European history – it was an unusual period in that many of the protagonists were women, and the politics may have played out differently because of that – the problems that the queens-regnant had over the choice of husbands, or even whether to marry at all, were gender related, but, ultimately, Gristwood is looking at a well-known canvas from a different and illuminating perspective. She does it brilliantly, managing to cover an enormous quantity of material comprehensively, moving smoothly between the women, and giving us a glimpse of an age when to be a woman wielding power was a dangerous and often personally devastating business.